Pietrasanta City is an amazing medieval town, near Forte dei Marmi,only 5 minuts drive. It is an historic town, where famous artists,as Botero,Mitoraj,Sir Paul Smith,loved to spend free or working time.This charming medieval town offers as excellent winery,restaurants,as interesting international art exibitions.Forte dei Marmi Villas is able to offer a variety of beautiful villas farway only some minuts from the versilia's golden beach. 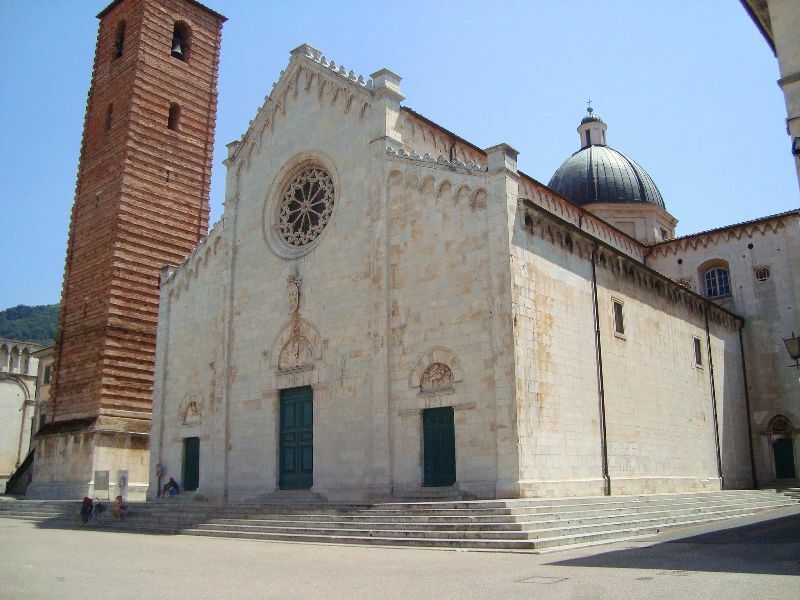 Pietrasanta is a medioeval town situated in the popular attractive italian region of Tuscany.It has his origins in the middle ages, when the town developed around a Lombard castle,and had a fascinating medieval history. During the centuries from 16th to 19th, important family as Medici,and Grand Duke Leopold of Tuscany, improved the urban,economic,artistic development of the town. 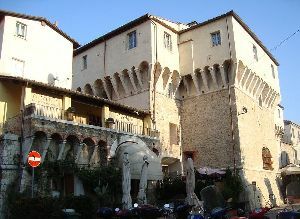 The area ,like most of tuscany,in general,has long enjoyed the patronage of artists. Pietrasanta grew to importance during the 15th century, mainly due to its connection with Marble. Michelangelo was the first sculptor to recognize the beauty of the local stone. 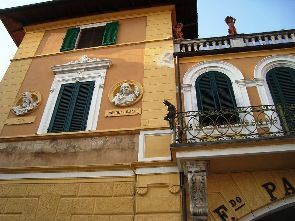 Today, the Colombian painter and sculptor Fernando Botero,Polish sculptor Igor Mitoraj, the Duch-born sculptor Beaumont, have the residence in this comune. Few decades ago it has gained the nickname of “Little Athens”. Recently, the Public Administration has discovered that the central islands of new roundabouts are well-suited to become open-air windows for the statues, sculptured by some of the most famous artists in the world, and at the same time enhance largely the image of the city. The first example was born on 2001, when on the large roundabout at the intersection of Viale Apua, there was placed “L’Oiseau”, a slim marble obelisk carved by the Belgian artist Jean Michel Folon. The success obtained by the above roundabout was great, due both for the improved efficiency of traffic operations and for the pleasant landscape enhancement. Therefore, it was decided of repeating the experience. 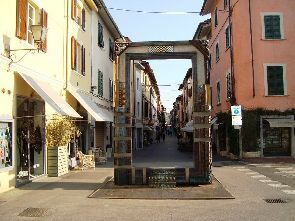 Close to the medieval walls of the historical city centre of Pietrasanta,it was built a large roundabout during the year 2006. The central island of the roundabout is wholly paved with marble white stones and on its top there is the impressive bronze of “Minotauro’s wisdom”, masterpiece by Franco Adami. 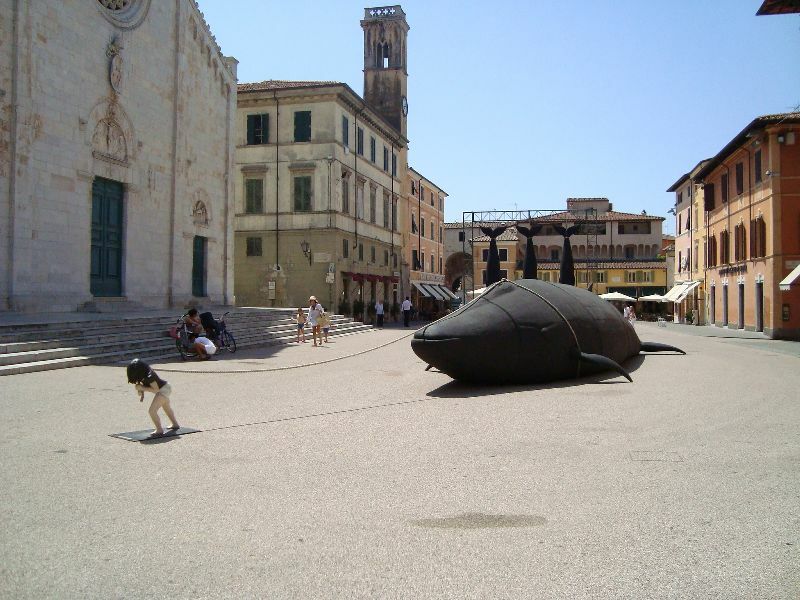 The so-called “Pietrasanta Art Path” is always under development and it will be enriched soon by a new roundabout which opening is expected no later than the current year 2008. Even for such last case the perception of the roundabout rely on the artistic aspect which gains a great relevance through a large fountain occupying the entire central island and from whom will rise up “Continuacion”, beautiful grey marble work of Jimenez Deredia. 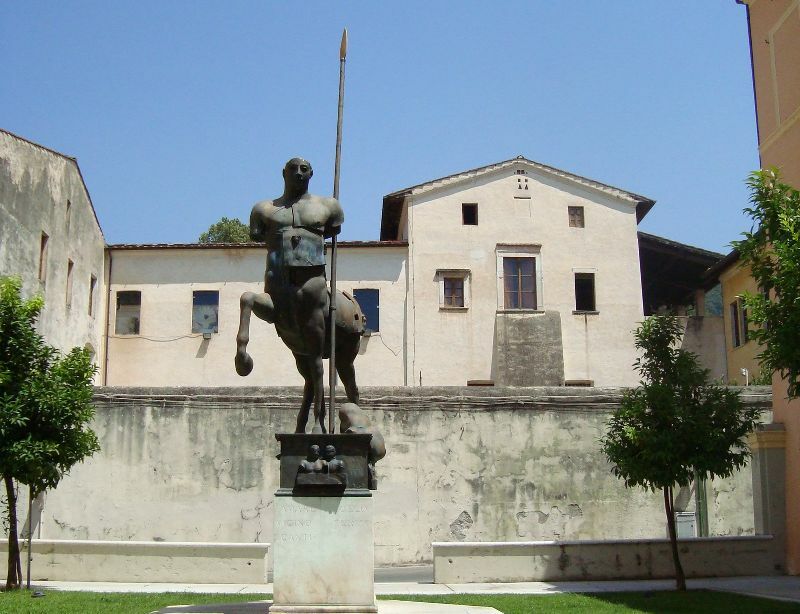 By the way, the “Pietrasanta Art Path” has become a characteristic landmark and today drivers have awareness of approaching to Pietrasanta when they pass through its unmistakable roundabouts. The present (and future) roundabouts of Pietrasanta are remarkable examples of a clever association between engineering skills and artistic talents. Therefore, the resulting “Pietrasanta Art Path” gives clear evidence about the strong link among art, life and human labour.